As the bitter winter cold subsides and the spring breeze warms the Japanese archipelago, the cherry blossom buds are waking up for this year’s sakura season. Sakura flowers are expected to be in full bloom around mid to late March in most parts of the country, and many hanami (flower viewing) spots are already popping up all over Japan for the occasion. Despite the ubiquity of sakura trees, there is one hanami spot that stands out above the rest: the Nihonbashi area in Tokyo. 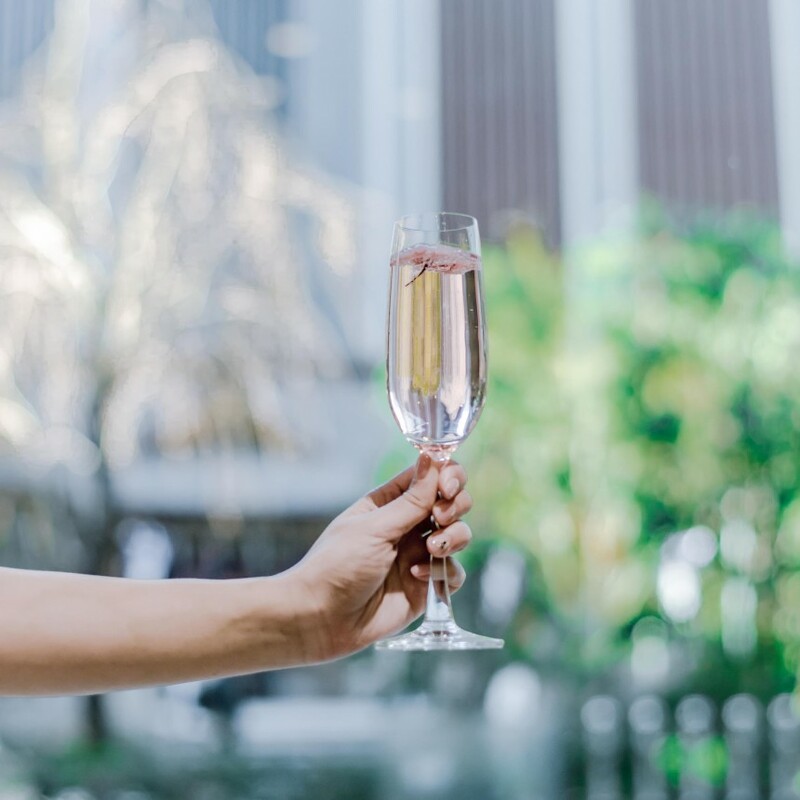 Less than ten minutes away from Tokyo station, Nihonbashi has established itself as the place to be for the sakura season with its rich culture and history. One of the appeals of the Nihonbashi area is its history as a trade hub. The eponymous Nihon-bashi (literally Japan Bridge) has been the center of commerce in Japan since the 17th century, when the Tokugawa shogunate moved the Japanese capital from Kyoto to Edo (now Tokyo). Merchants and craftsmen from all over Japan gathered in the area, making the area rich not only economically but also culturally. 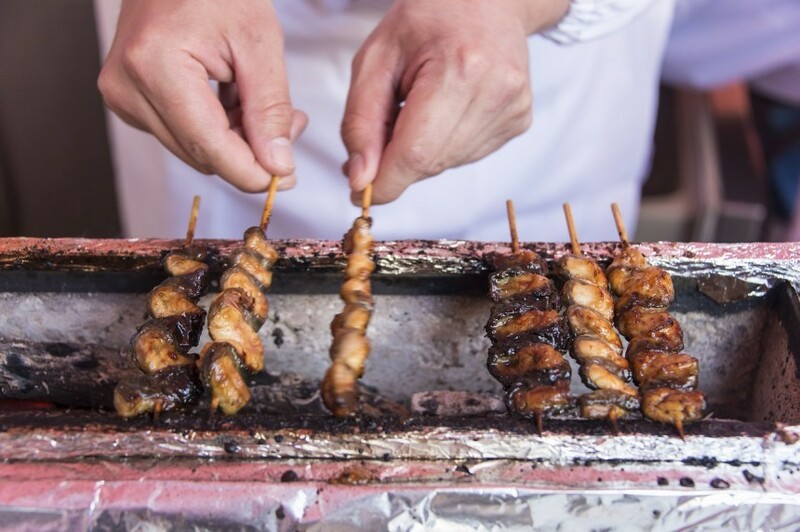 This is evident in the fact that stores selling traditional cuisine or crafts remain in Nihonbashi even to this day. 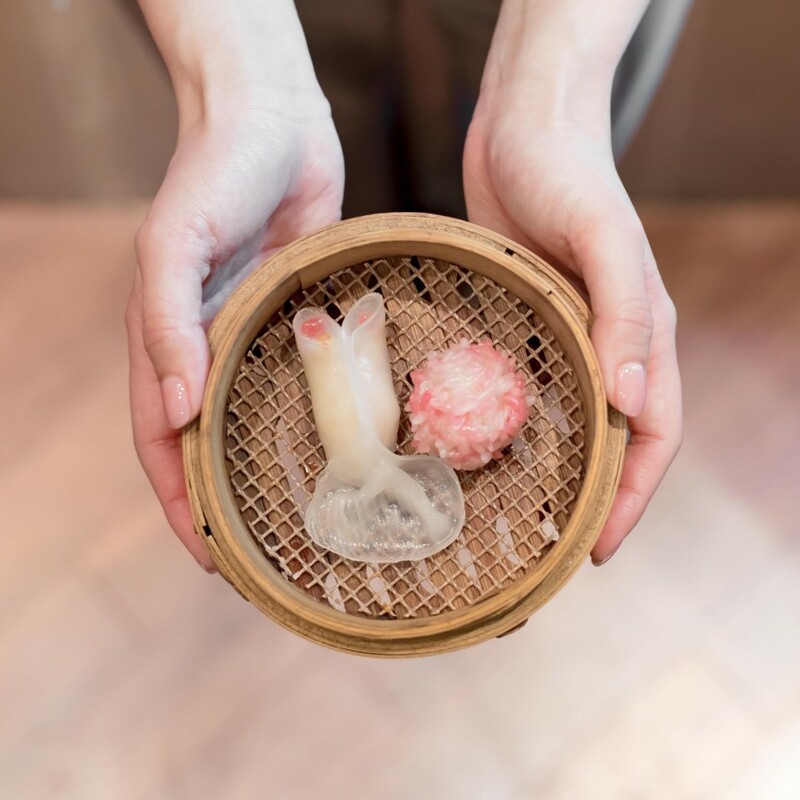 To get a taste of the traditional Japanese cuisine that thrives in Nihonbashi, visit the Nihonbashi Sakura Stalls on March 31 and April 1. Local restaurants, many of which have long histories that date back centuries, will come together to collaborate and create original dishes. The stalls open at 12pm, but showing up early is highly recommended. 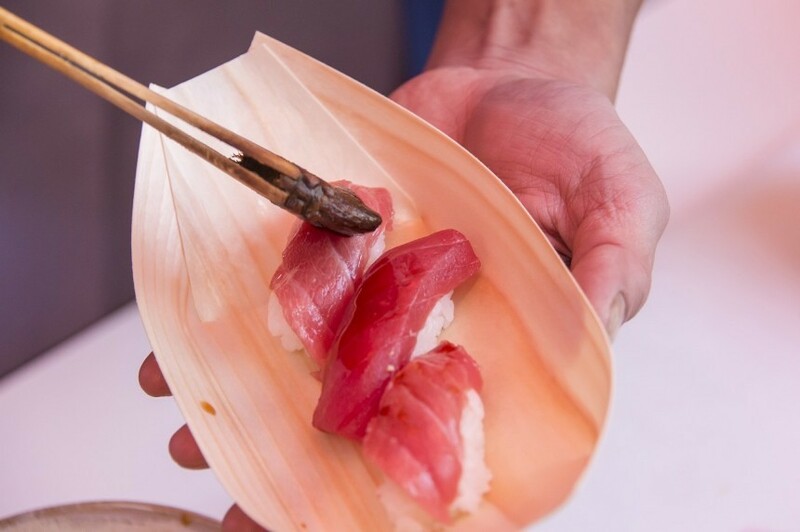 Dishes like Edomae sushi (the local style of sushi) will be especially popular, because they will be sold at reasonable, food-stall prices despite the fact that these restaurants are often high-end institutions with world-renowned chefs. 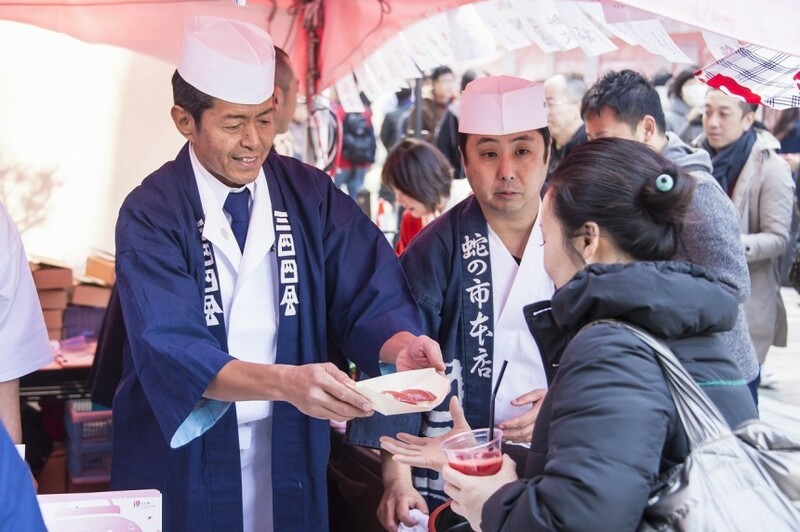 Even if you can’t make it to the food stalls, you can still try seasonal dishes from the 150 shops and restaurants that participate in the Sakura Menu Walk, from March 16 to April 15. 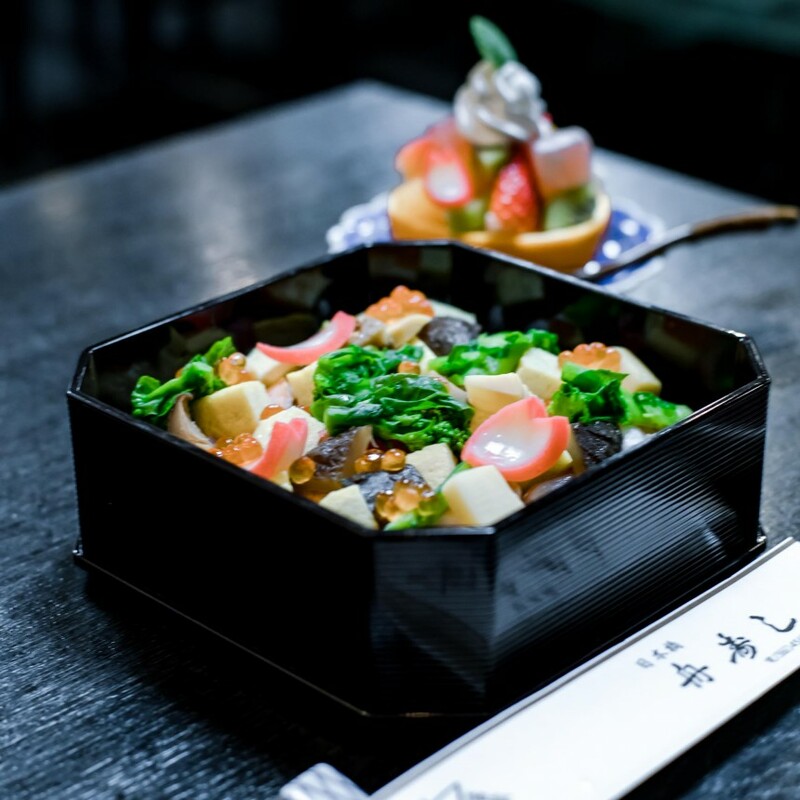 From immaculately designed wagashi (Japanese sweets) that go well with matcha tea, to traditional full-course meals that use seasonal vegetables and seafood, the area has a wide variety of dishes to suit your tastes. 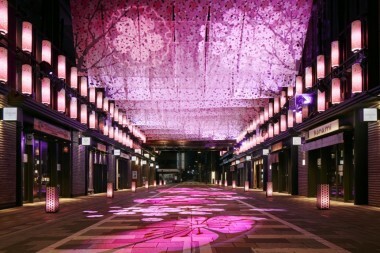 After a delicious meal, head over to Edo Sakura Street for the highlight of the hanami season: the hanami itself. Visitors can stroll in the shade of the sakura trees that line the street and admire the pink blossoms against the backdrop of historical buildings like the neoclassical-style Mitsui Honkan. 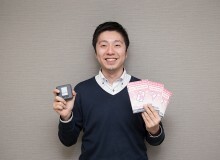 To get the best out of sakura viewing, visit after dusk between March 16 and April 15. 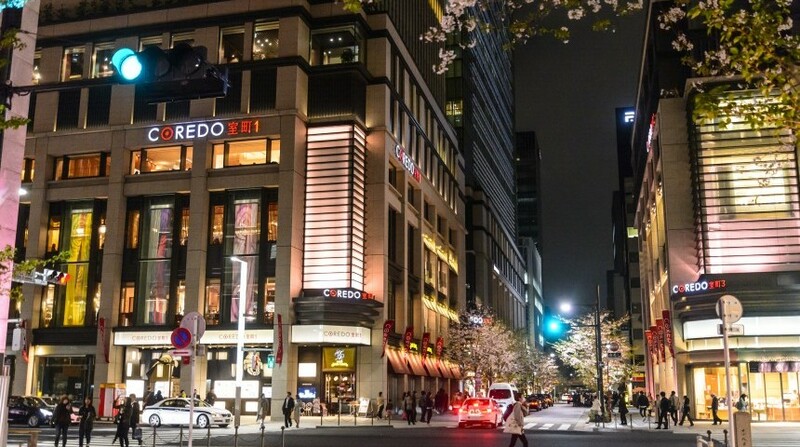 The white marble buildings that face the street will be lit up in sakura pink, making for an otherworldly experience. If you want to fully immerse yourself in the experience, go to the Nihonbashi Information Center in the COREDO Muromachi Building to rent a kimono for the day. Rental services are available on Saturdays, and professional fitters will help you put on the kimono (reservations required by 5pm the previous day). 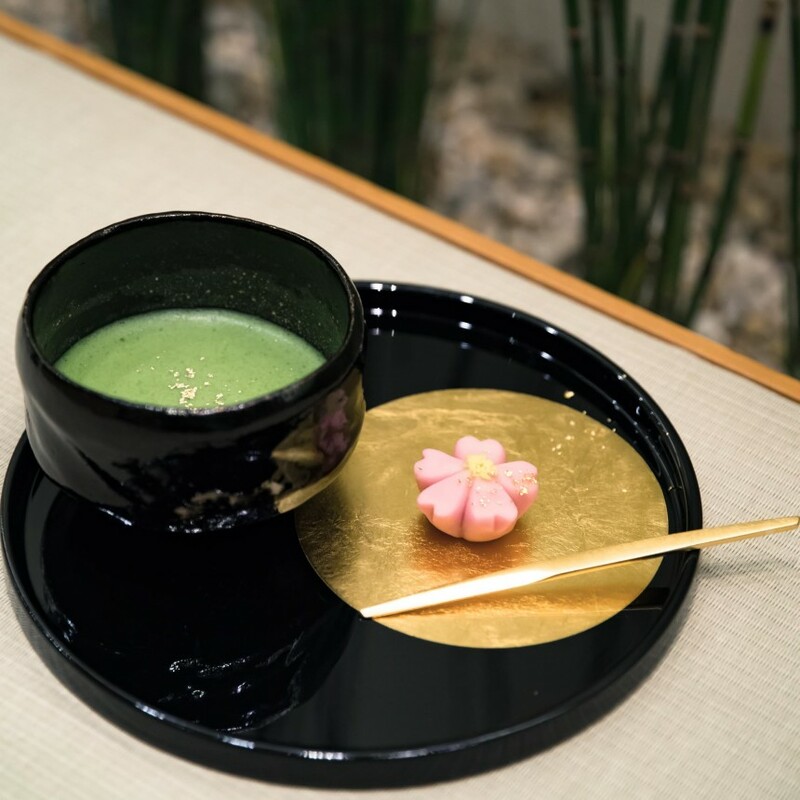 The Nihonbashi Information Center also has a host of planned activities to join, such as gourmet tours and geisha performances.